Headlies: Vince McMahon Suspends Literally Everyone For 30 Days - WrestleCrap - The Very Worst of Pro Wrestling! 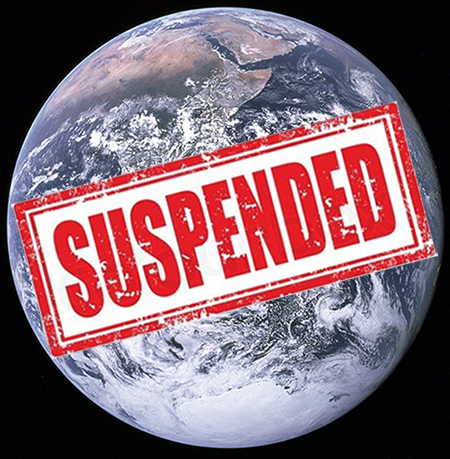 Stamford, CT – After several high profile suspensions, WWE CEO Vince McMahon has declared that literally everyone on planet Earth has been suspended for 30 days. 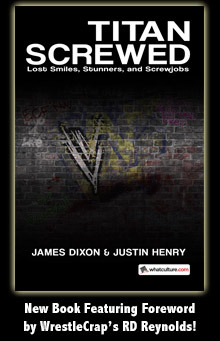 Many within the company have been of edge ever since the suspensions for stars like Alberto Del Rio and Paige were announced. Their fears were realized when an incensed McMahon rampaged through the backstage area after last week’s Smackdown. McMahon suspended the entire locker room, including all agents, bookers, and writers. McMahon, drunk on his own power and a bottle of peppermint Schnapps, stumbled through the streets, telling anyone who passed by that they were suspended. Authorities has to be called when McMahon got into a fight with the drive-thru menu at McDonald’s. At home, tears began to well McMahon’s tired eyes until he suspended them as well. He then laid his head on the pillow and suspended the act of being awake for six hours. 11 Responses to "Headlies: Vince McMahon Suspends Literally Everyone For 30 Days"
But I just passed my most recent Wellness test. WTF??!! Yeah, that’s probably my fault. I went Orton on a hotel room and told him you did it. Yes, quite funny but I think a McRib would have been funnier. The reason is that the Mc D.L.T. is retired and the McRib is just on a hiatus (read suspended) and Mr. McMahon suspended the world when he was not able to life the suspension of the McRib. I will suspend my disbelieve at this headlie until it can be proven otherwise. So, if everyone on Earth is suspended… does that improve the odds of TNA getting a ratings pop, or will it stay the same? The only pop they could get is ordering a soda. It’s everyone’s favor cooking show, Hobo On the Range! With your host, Blade Braxton!